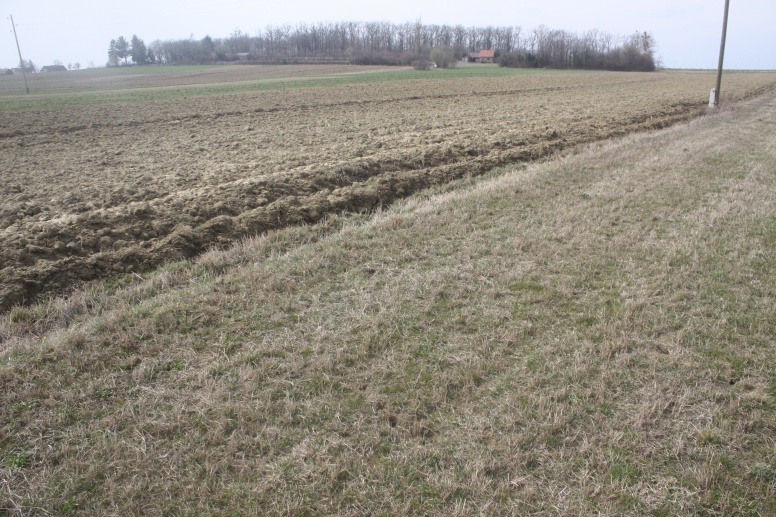 The salvage investigations at the AN 1 Grabrić site, on the route of the A13 motorway, uncovered the remains of a prehistoric and a mediaeval settlement. The site lies south of the village of Grabrić. It was discovered during the field survey of the route, when the collected ceramic finds were attributed to prehistory and the Middle Ages. The test excavations carried out in 2010 corroborated the existence of a prehistoric and a mediaeval settlement. The site occupies an elongated hill segmented by gentle valleys. The Crnčić brook runs at the foot of the hill on the east, while to the west of the hill extends the valley of the Glogovnica river. This is a communication that connected the Upper Posavina region with the Križevci-Koprivnica area on the one hand, and the Bjelovar-Bilogora area on the other. The salvage excavations covered a total area of 42.441 m2. The discovered structures are uniformly distributed along the entire investigated area of the site, although two bigger clusters can be distinguished – one in the northern part of the settlement, consisting of structures that belong to the infrastructure of the prehistoric settlement; a small valley on the southern side separates this part of the site from the other part of the hill, where a large cluster of structures was identified, which belong to the infrastructure of the prehistoric settlement, as well as, to a smaller extent, to the late mediaeval settlement. 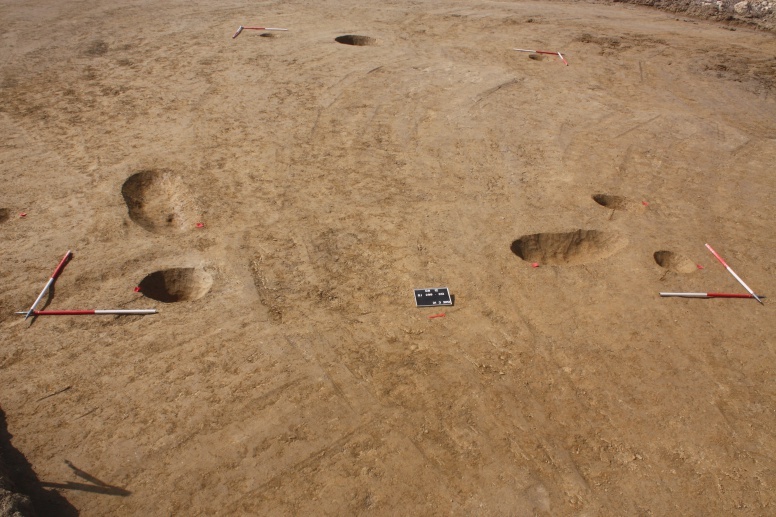 The infrastructure of the Late Bronze Age settlement includes oval pits. There are also numerous post-holes pointing to the presence of houses of rectangular plan, situated at the most prominent part of the settlement. The ditches of various dimensions, dug adjacent to the houses, most likely represent the remains of courtyard or household fences. The fills of the pits yielded fragments of ceramic pots, among which it is possible to recognize biconical pots with everted faceted rim, rounded bowls with obliquely fluted rim and high-handled cups. Based on the preliminary analysis of ceramic forms, the settlement can be dated to Ha B phase, that is, it can be attributed to the younger phase of the Urnfield culture – the Velika Gorica group from the 11th-9th century BC. The investigated part of the settlement from the younger phase of the Late Bronze Age belongs to the previously poorly known sites from that period in the territory of Prigorje, which makes the results of these investigations all the more important. A part of the structures situated closer to the top of the hill dates from the Late Middle Ages. This was probably a smaller settlement situated above the valleys of two brooks. 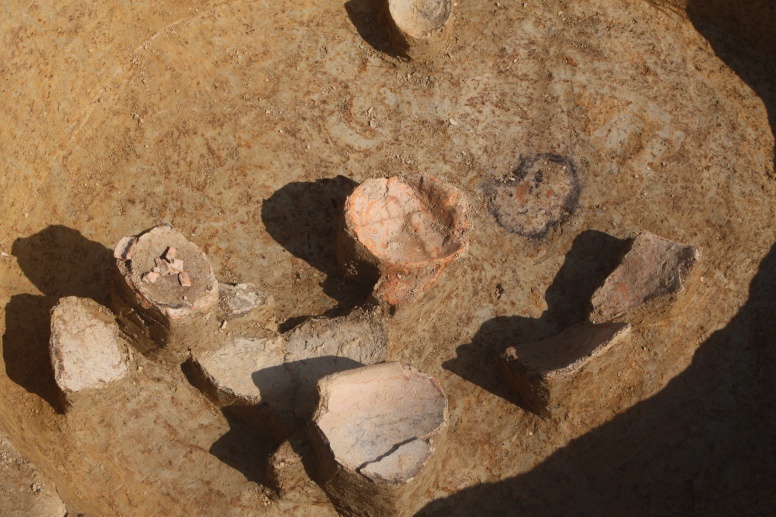 The fills of the pits yielded fragments of ceramic vessels and heaters. Taking into consideration the typological features of pots and lids, the settlement can be dated preliminarily between the 13th and 15th centuries.